Smart technology is rapidly integrating into many peoples lives in modern society. The devices in use today help us to manage our daily activities and are constantly evolving, adapting, and learning. Thus, the possibilities and applications of smart technology of the future may be endless. Many smart devices today are designed to respond to various input commands given by their users. 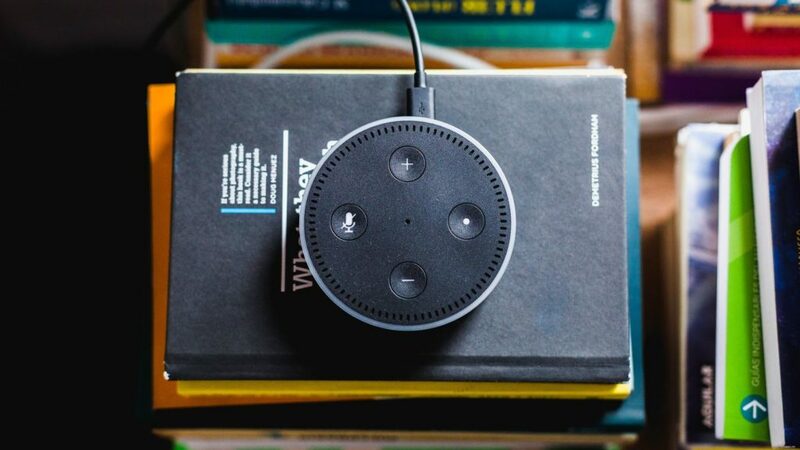 Devices such as Amazon’s Alexa use voice recognition technology to execute a wide range of tasks given by the user. At the moment these types of technology are still relatively new and somewhat limited in their capabilities. In future, however, once the technology has developed, these smart devices may be able to perform tasks that are far more complex and intuitive. Using emotional intelligence technology, smart devices like Alexa might soon be able to identify your emotions and mood and adjust their behaviour and decisions accordingly. For example, depending on your mood the device would play different music to suit it. Or it could adjust the lighting around the house depending on your state of mind. Planning and structuring maintenance procedures can be a very time-consuming task in today’s world. Many large businesses make use of complicated and comprehensive maintenance planning procedures to accurately predict and schedule their maintenance needs. Smart technology of the future may be able to help simplify and automate these procedures by using Artifical Intelligence (AI) technology that can identify and evaluate when something needs maintenance based on its current performance, usage frequency, and operational duration. Additionally, using sensor-based technology, these smart AI devices may be able to identify and pinpoint exactly what components need maintenance and to what extent. Toilets are one of the most commonly used appliances in the modern world. Despite their widespread usage, there is still much to be desired in terms of innovation with regards to toilet technology. Smart toilets of the future have the potential to not only improve our lives but even to help save lives by providing early warnings of potential diseases, illnesses etc. From a healthcare perspective, smart toilets of the future may be able to analyse urine samples and warn you if it detects any wellness issues. Additionally, they may even be able to test for pregnancy or warn of other health concerns such as kidney or liver disease. Other features of smart toilets could include seat warmers, dietary recommendations based on waste matter, and self-cleaning capabilities. Features such as these could help make using the toilet more purposeful and insightful in the future, as well as potentially help to save countless lives. Lights are used almost everywhere in modern society, from our cars to our homes and even our smartphones. Since the late 1800’s, lights have become a fundamental part of our everyday lives and may become even more integrated into our existence in the future with advancements in smart technology. Smart lights of the future may monitor the level of lighting and adjust accordingly. Instead of running on timers like they do today, smart lights of the future will automatically dim or brighten lights according to the surrounding lighting. Additionally, combined with other smart technology such as emotional intelligent devices, lights may even adjust their brightness or colour depending on your mood. Smart lights of the future could also help drastically reduce your energy consumption by automatically turning on and switching off as you enter and exit rooms. By switching off automatically as you leave rooms, these lights would help to conserve energy by reducing unnecessary light usage. Fridges help us preserve and store all kinds of food and drinks by creating a low-temperature environment that keeps our goods fresher for longer. This useful household appliance could see many innovations with the rise of smart technology. One such innovation may come in the form of self-delivery features. Smart fridges of the future may be able to identify common or staple supplies such as milk, eggs etc. and automatically place an order for them online when it detects low stock of the items. The fridges could be connected to your house wi-fi networks, and if given permission, would be able to place orders on your behalf before supplies run out. Additionally, smart fridges of the future could offer a wide range of other useful features such as being able to warn you when an item is close to or has exceeded its expiration date, as well as adjust its temperature based on the contents of the fridge. Smart technology of the future will have superior features and capabilities to help improve our lives by assisting with everyday tasks. Therefore it can be said that these smart devices will ultimately shape our world and the way we do things.